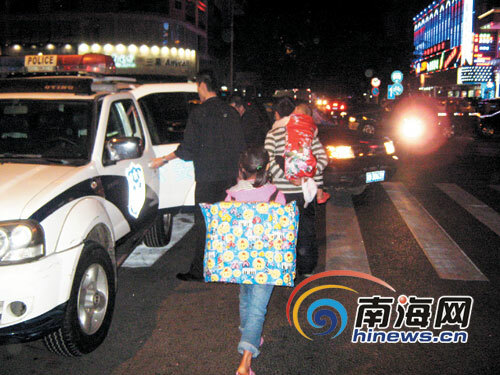 On Feb 10, 2011, the Sanya Public Security Bureau received a call that 11 beggars were begging at the No.1 Market in Sanya, among which 9 beggars were children, reports hinews.cn. Worrying that the children were organized or forced to beg on the streets, the police immediately came to the spot and took them back for further investigation. Among the 9 child beggars, the youngest is 2-year-old and the rest are around 9-years-old. A 40-year-old man, one of the adult beggars, is from Guizhou Province and a woman is from Henan Province. They both told the police that they are the parents or relatives of these child beggars but failed to provide any valid identification to confirm relationships. After initial investigation, no evidence shows these children forced to beg on the streets since no scars were found on their body. According to the police, they will strictly crack down on any child trafficking activities on the streets. At the same night on that day, these child beggars were arranged to stay in the aid station for further investigation.